Reading Mufaro’s Beautiful Daughters a few weeks ago, I was prompted to think about Cinderella stories. It seems that nearly every culture has at least one such tale. Mufaro’s Beautiful Daughters is not at all like the Western fairy tales I have read. There is no evil step-mother. The protagonist does not sit around and wait for fate. Instead, she goes on quest to meet the prince. Along the way she completes different "tests." Her snake companion (rather than birds and mice) is the prince in disguise! 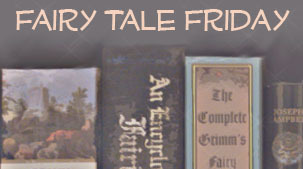 I began reading similar fairy tales to examine: What makes a narrative a Cinderella story? In most contemporary Cinderella tales or retellings, a step-mother and sister(s) are the cause of hardship and oppression. However, in The Egyptian Cinderella (by Shirley Climo) the protagonist (Rhodopis) is a slave, a Greek girl stolen as a child from her parents. Three other slave girls in the house are envious of Rhodopis because of her blond hair, fair skin, and great beauty. Like many of the tales, there is a benevolent father-figure. In this case, it is the slave master. He is oblivious of the ill-treatment the girl receives from the others. Interestingly, in some early Cinderella tales, though, the father is the cause of the girl difficulties. These tales have been modified or fallen out of use. According to the Author’s Note, the tale of Rhodopis is one of the world’s oldest Cinderella stories, recorded in the first century B.C. It is believed to be based on some truth because there was a Greek slave girl by the same name that married Pharaoh Amasis and became Queen of Egypt. 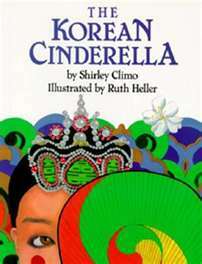 The Korean Cinderella (by Shirley Climo) follows many of the familiar plot elements, beginning with the step-mother and step-sister being the nefarious task masters. In this version, the protagonist is named Pear Blossom. Most of the Cinderella protagonists are connected with nature, often through the friendship of animals. Pear Blossom is connected by her name and through her only friends, the crickets. She must complete several tasks in order to earn the right to attend the ball. Each one is impossible but for the help of an animal (frog, sparrows, ox). She eventually attends the party and marries a nobleman, rather than a king, who locates her using her lost sandal. 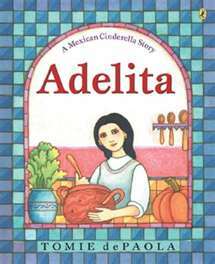 Adelita (Tomie dePaola) is a Mexican Cinderella story. There are no animal helpers or direct connections to nature. Instead, she receives help from a former servant who was her nurse maid when she was growing up. There is no magic either. The beloved old woman reveals the location of her mother’s chest that holds what she needs to prepare for the party at the wealthy rancher’s home. With one other exception, the other tales all use some sort of slipper or shoe. Adelita is distinguished by her reboza (a type of shawl). She hangs it outside her window after the party which allows the rancher’s son to identify her after the party. 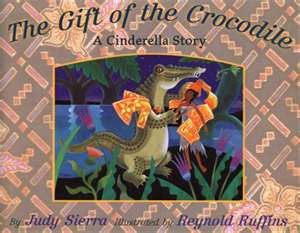 One Indonesian version is The Gift of the Crocodile (by Judy Sierra). In this region, Cinderella tales are characterized by a heroine losing something in the river and finding a magical helper. In this narrative, a crocodile befriends the protagonist, Damura. Grandmother Crocodile helps the kind-hearted girl by not only retrieving her sarong but replacing it with a far lovelier one. When the feast for the prince occurs, Grandmother Crocodile provides all that Damura needs to attend. She successfully wins over the prince, but the step-mother and step-sister are eaten up with jealousy. They feign kindness and reconciliation to lure her on a boat ride. The duo pushes Damura into the river where she is eaten by a crocodile. Grandmother Crocodile rescues her. The step-mother and step-sister flee. From then on, Damura and her children safely splash in the river, talk to the animals, and play in the shade of the trees (again that connection to nature). 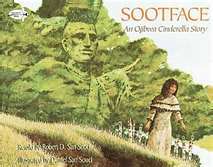 My favorite multicultural version is Sootface (by Robert D. San Souci), an Ojibwa Cinderella Story. Sootface overcomes horrible bullying not only from her jealous sisters but from the rest of the village. Because she works hard all day, her hair is singed, her face is dirty, and her clothes worn out. She does not rely on magic or a helper to transform her. Instead, her resourcefulness and diligence provide her with the necessary items. Another unique plot element is the “prince.” He is a famed hunter with the ability to become invisible. One day, he tells his sister to announce that he will marry the woman who can see him, which means the woman is kind and honest. To verify the maiden can in fact see him, she must describe his bow. Of course, all the women try but fail. Sootface is the only one who is able to truly see him. The hunter changes her name to Dawn-Light, and they marry. Every one is pleased, except her sisters who now have to do all the cooking and cleaning. From all these tales, it is clear there are many variations. As a result, defining what makes a Cinderella tale a Cinderella tale is a challenge. I realize, also, that I just reviewed a sampling. From it, I can conclude that in all the tales a protagonist must overcome great hardship (usually as a result of family/step-family members) to become successful (which usually means finding a husband). In all the mainstream tales, Cinderella is humble, obedient, and diligent. Though in some tales (especially earlier ones), she had other character qualities, such as being clever, resourceful, and, even, vengeful. The modern world’s fascination with Cinderella tales has always amazed me. I cannot speak for all cultures, but it seems to me that what appeals most to us as Americans is that Cinderella is the quintessential icon of pulling one’s self up by his/her boot straps to be a success. Isn’t that what the American dream is all about? 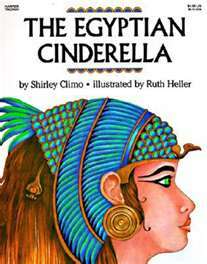 I like the sound of The Egyptian Cinderella. Thanks for sharing this. I'm not familiar with all the Cinderella stories you mention, though I've read a few other variations. I don't think I agree with your conclusion though. In the Cinderella stories, does Cinderella really ever pull herself up by her bootstraps? Even when she has tasks to do, it is often her kindness that inspires other creatures to do the tasks for her. In some ways, I think our fascination with the Cinderella stories is why people like reality-tv shows. They want to believe that they can get lucky, that they can be transformed, etc. There's hard work, but the hard work isn't how she makes it, its what she must endure until someone recognizes the wonder of who she is and gives her all the riches she deserves. I think it is people's desire to be recognized, that makes people like the story, not the idea of pulling oneself up by the bootstraps. I love the different versions of Cinderella. 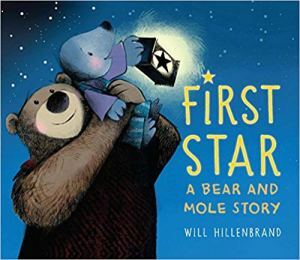 It is so fun to compare the stories. We are giving away Cinderella Skeleton this week on our blog- a version just perfect for Halloween. :) I haven't read Adelita- but it sounds fascinating.